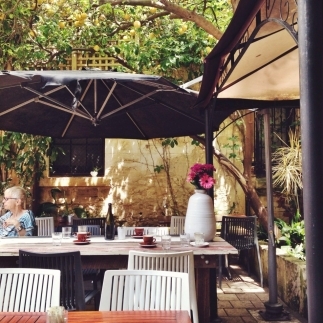 Yesterday I wrote this story about Fremantle Arts Centre, their amazing gift store FOUND, their beautiful gardens and very relaxing café. 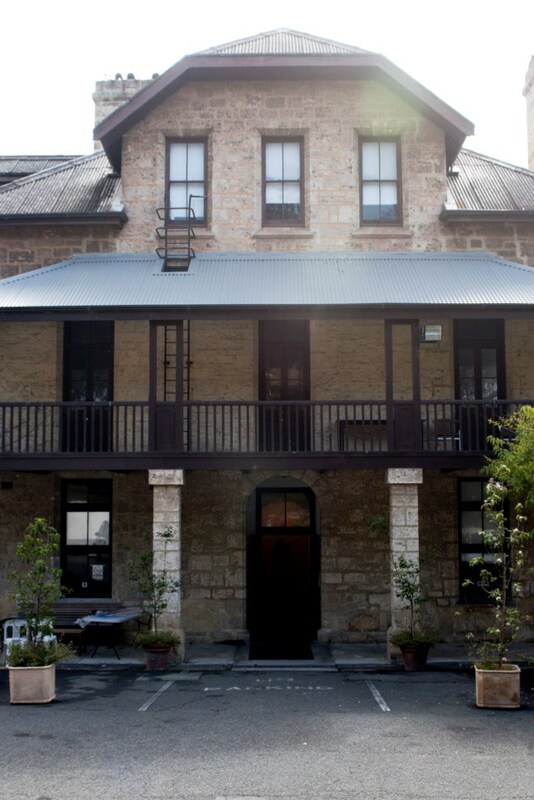 I also talked about the building’s history and its original purpose as a lunatic asylum when it was built by convict labour in the 1860s, and how as the years went on the place became known as a place of a suffering, sadness and murder, until campaigns by women’s groups finally resulted in its closure in 1941. 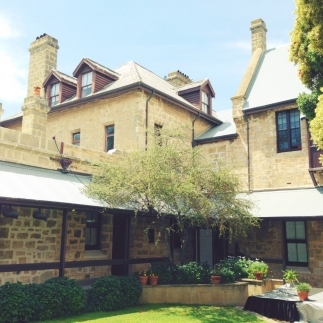 What I didn’t talk about much in my story were the rumours that Fremantle Arts Centre is allegedly one of the most haunted buildings in WA. But today I will. I’ve always loved the chills that run up my spine from a good creepy story. When I was a kid I wanted to be Stephen King. 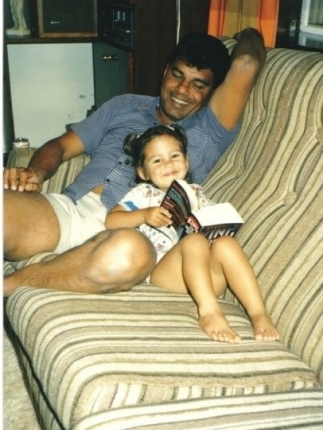 I devoured the spooky stories in all my Babysitter Club, Trixie Belden and Enid Blyton books, then moved on to Goosebumps and my dad’s Stephen Kings. In high school almost every story I handed in for English had some macabre bent (my friends read them happily, my teachers would look depressed and ask if I could write about something pleasant next time) . (And yet for some reason while I love scary books, I hate scary movies). ABOVE LEFT: A bit of light evening reading when I was three. ABOVE RIGHT: Cool haunted-looking house huh? 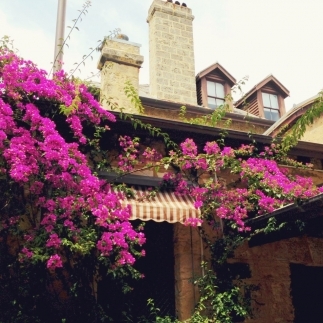 This old East Fremantle sea captain's mansion was one of my first House Nerd houses and still one of my most popular! 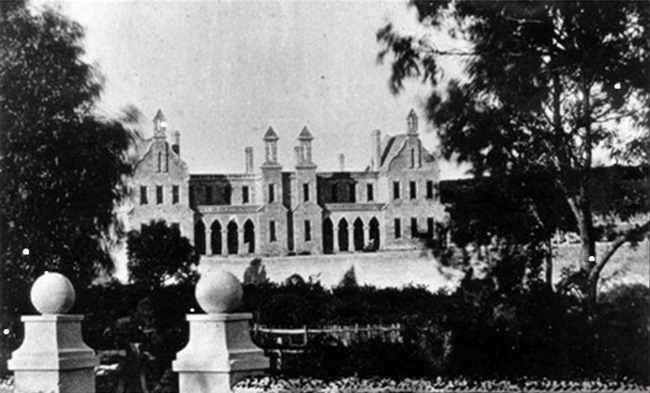 ABOVE: Fremantle Lunatic Asylum in the 1870s. 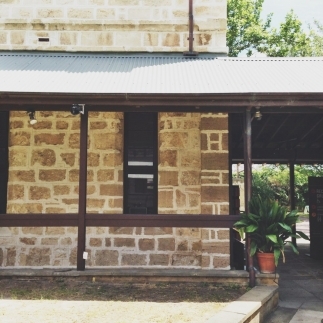 Photo from the State Library of Western Australia. ABOVE: Today. Image from Wikipedia. When I was 21 I was asked to write a story for a magazine on some of WA’s most haunted buildings, and yep, Freo Arts Centre was in that lot. And just for fun, I thought I’d post an excerpt from that story on here. 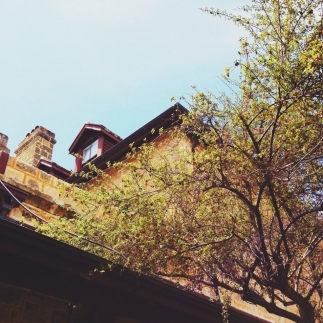 Because whether you believe in ghostly occurrences or not, you have to admit there’s something fun about ghost stories and creepy-looking old buildings that look haunted! And when the place is a beautiful old Gothic building that used to be a lunatic asylum? Even better. One person who has seen a disturbing full apparition at the Arts Centre is medium Anthony Grzelka, also known as “Australia’s Ghost Whisperer”. Anthony joined a television team staying overnight in the building filming a documentary on the hauntings. “Locked in an asylum at 3am wasn’t my idea of a good time,” Anthony says wryly. It was that night when Anthony saw the “very tough and hardened spirit of a man” standing halfway down a corridor. The temperature in this area dropped from 22 degrees to less than 16 degrees in an area of three metres. Anthony immediately felt extremely uneasy about the spirit. “My impressions were that he was not an inmate of the asylum when it was operating, but a very nasty nurse or warden type,” Anthony says. “With this type of energy, I can’t begin to fathom the types of things he did to those poor souls who were patients in that place many years ago. This very unpleasant man had been here a long time – perhaps 100 years or so from the look of his demeanour and dress.” Anthony later discovered that several security guards refused to enter that part of the asylum after a couple had been pushed down a stairwell. “I knew it was this nasty chap in the hall who was responsible,” Anthony says. Anthony later moved into an area that he describes as one of the most haunted locations he had ever visited. “The thing I noticed almost immediately when I entered this area was a strong smell of burning, the overpowering acrid stench of flesh burning,” he says. It wasn’t until the next morning that he learnt the area had been used at the turn of the century to administer electric shock treatment to its patients. Back in the day when society generally had little compassion for mental health, cruelty at the hands of the asylum’s authorities was not uncommon. During his visit Anthony became aware of three teenaged sisters in spirit who died in the asylum, one who had a mental health issue. Anthony says the girls were “exploited sexually” and were the daughters of a prominent community figure. He believes money changed hands and the girls were used for “sexual favours”. “The place where the sisters said they were “exploited” is reported to be where the bathhouses once stood,” Anthony says. ABOVE: The building today. Photo Meghan Plowman of The Orchard. Omg, swear I wish i hadn't read this!! (but your writing is too good - I just HAD to) ... whilst reading the passage about Joe De Cotta, I'm sure I heard some rustling sounds coming from INSIDE my house. I hope there's really just my paranoid, wild imagination ... because I need my sleep tonight. That being said, the stories sound amazing - definitely something to share with at the dinner table though I would much prefer not to share my own personal encounter there so Saturday or Sunday it is for me at the market bazaar! ps. You know what else is scary? HOW FREAKING CUTE YOU WERE!! Ahhh!!! Awww thank you! Spooky rustlings!!! Yahhh! Please do retell the ghost stories... around the dinner table with the lights out and a torch held under your chin, right? Only way to tell a ghost storeeee. I went on Friday.... the building looked pretty spooky! I went here in June 2012. I've never felt the way I felt in there before or since. I felt like every hair on my body was on end and felt like I was being watched. As I climbed a staircase I took a photograph of my daughter at the top, I don't know why but I took a second shot immediately after the first, on the second photograph an image of what looks like a woman's torso coming down the stairs wearing a v neck blouse with a broach or a lace knot at the bottom of the v neck. I've examined the photo at length and I'm convinced it is a ghost and not caused by lighting etc. I live in Adelaide but can't wait to visit again, with my camera!!! Ughhhh!! I have heard NUMEROUS creepy stories about a staircase at the centre where people sometimes feel or see something a bit weird. I would love to see your photo! (I think. Haha). Not sure how to post the photo, do you have an email address I can send it to. Hi Shari, unfortunately I have never seen the photo as I didn't end up receiving an email from the original commenter... pity! :( let me know how Saturday goes! My parents got married there. I've visited there many times and knew a few of the cheeky tour guides there. They would deliberately scare people there for fun, but there were a few stories of real things happening, such as the woman who is looking for her lost daughter (possibly a relative of mine). Each time I or my sister have taken photos there, a ball of light would appear in different places on the picture, especially in the chapel. (It's more peaceful there) The light wasn't seen previous and the lens was spotless, so there is something there. My mum and I went on a ghost tour there about ten years ago. I can't get the courage to go back. We heard a lady crying it was awful. The whole group just sat there quiet and terrified. On our way out of the converted art room upstairs, my mum and I were at the back of the group, and at the top of the stairs, my mum said "it's ok, please don't cry" and next thing she was falling down the stairs and on top of me and the rest of the group. When we composed ourselves at the bottom, my mum was pale and terrified (which was weird as she doesn't spook easily and is very open to spirits and ghosts etc). She said she felt a hand on her shoulder touch her softly, then all of a sudden an aggressive push by two other hands on her torso! Scariest thing I have ever experienced! Maya, What a story you have written, the last time I visited there was about 2-3 years ago but I personally didn't feel anything. Although my mind is always open to this stuff, interesting about being an asylum now a arts centre. I will revisit before too long. It is such a cool place to visit! I love even just going for a quick bite to eat in the cafe and admiring the spooky-looking buildings. I go past that place a lot and whenever I look at it, I would feel so cold. Taking numerous trips inside the building since I was about 8, I always felt very spooked. The place just has this energy that's strange and eerie. But I'm very intrigued by the supernatural so I may visit it some time soon. You must have a bit of a radar for it. I wonder if you knew what it was originally built for when you were eight? I haven't been in a little while now and keep meaning to visit again. having gone through the place checking out different exhibits, I finally went to the smallest room in the building... Small bits and pieces in glass cabinets.. I saw a small plaque on the wall of this room, and I thought to myself 'I wouldn't mind betting that this was once an asylum.... I read the plaque.... the room went cold... I heard cackling and wailing and I became depressed and nauseated. I ran from the building and out onto the grass in the sun...I threw-up on this lady's picnic blanket... I was exhausted and sorry I had messed her blanket up, and she said 'I understand, and revealed she had thrown-up on the other end of it. It had been an ok day till then... was beautiful and sunny... yet I couldn't say it was anything but awful. My daughter is interested in ghosts and wanted to do the ghost tour for her birthday. I stumbled across this site and your story is great, especially the bit about the security not going to a certain area because of being pushed down the stairs. The weird thing is 17 years ago my wife and I were looking at having our reception there but decided not to when she got pushed down the stairs. Luckily I was in front of her at the time. It's the first time I have seen a validation of what my wife experienced. Thanks. 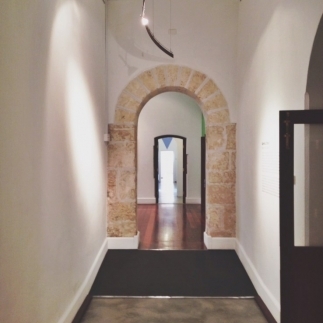 Was at Freo Arts Centre today. While out the back going up hill, I looked back. There is an upstairs corridor with three windows along it. Positive I saw something move across middle window. Like a black cape. You could see through the window on other side. My "inner ghost buster" kicked in. After pacing back & forth, I was unable to see anything I could've confused this with. I asked a kitchen hand if it was possible to go upstairs, which if you asked someone, it could be possible. I don't know if anyone was up there. My girlfriend was getting cold feelings in certain rooms inside to cap our little adventure off. While on the hill, both of us were experiencing shortness of breath. We had only been casually walking up the hill, not running or the sort. VERY WEIRD !!!!!! Just had to put our experience out there. This place is haunted for sure!! 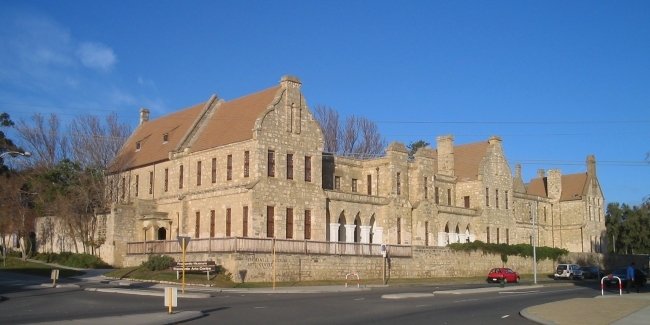 I grew up in Fremantle and my mum LOVED history and the history of Fremantle (I can tell you all about the asylum) one night a gf and i went there at night and the lady that was talked about up there ^^ in the window.. we saw her, clear as day! Many many times I have been through doing tours and felt cold or heard strange things. And I totally believe about the staircase. This place is defiantly haunted! I was young when I seen a ghost here but I'll never forget it. It was an older woman, clear as day but she was floating. She was wearing olden clothes and was purple hat and a purple dress. I've been searching on the internet but can't find anything. it has always been known to be haunted. My grandma and great-grandma said to have felt or sensed, maybe even saw a ghost there. I've personally never been, however i really need to now! 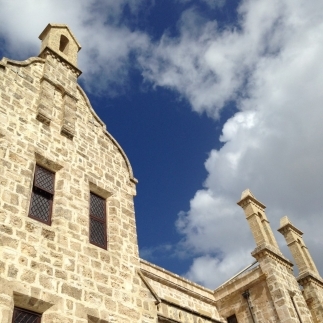 I've been to the fremantle prison and to me there was no creepy/eerie feeling, but i think thats because there are not really many or any mysterious deaths or a (too me) tragic past. However the suicide prevention nets give me a sad feeling knowing that people have died there, the sad feeling is not because of the deaths but the fact that there are no mysteries. I lived in Tuckfield street for a year in a small house reportedly built for the guards at the Asylum. One night i woke to having my bed shunted into the wall. It literally felt like someone had stood at the end of the bed and pushed it with great force, slamming the bed head end into the wall behind it. The bed actually had castors on the bottom so it could be moved around but when i eventually got up and put the light on, my bed was at least 30 cm off the wall. It was eerily cold and I could feel there was a heavy presence in my bedroom. I sat up the rest of the night with the lights on. My flatmate and I always felt that someone or something was watching us in the house. Scariest place I have ever lived in. That gave me the creeps Jen, my arm hairs still feel prickly. My dad owns a building around the corner from Tuckfield Street that was originally built as a home for a guard at the prison and has now been converted. If I had an experience in a house like you did I would move out. My mother grew up down the road from the "Old Woman's Home" as it was then in the 1930s. She said that the gate was always locked, that the elderly were treated as inmates and that often elderly ladies would stand at the gates begging food from people leaving the corner shop across the road from the home. We were addicted to the place when I was a kid. I visited the museum maybe 50 or more times and never experienced anything paranormal, but Mum was convinced that the place was haunted. 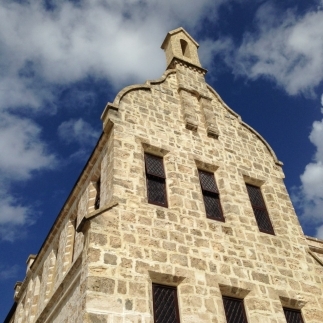 I feel like I am the only one in Perth who hasn't been to the New Norcia convent. I once stopped at the public toilets there and thought the building was intriguing. It was a Sunday morning and it was so quiet with no one about and still it was a little bit eerie even then. I think it would be freaky at night. 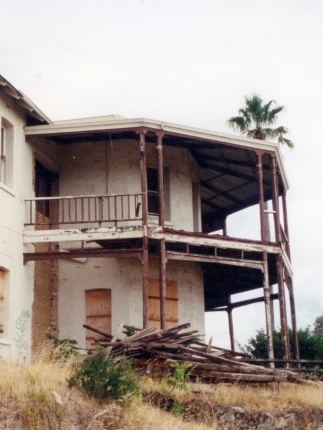 It's meant to be one of the most haunted places in WA!